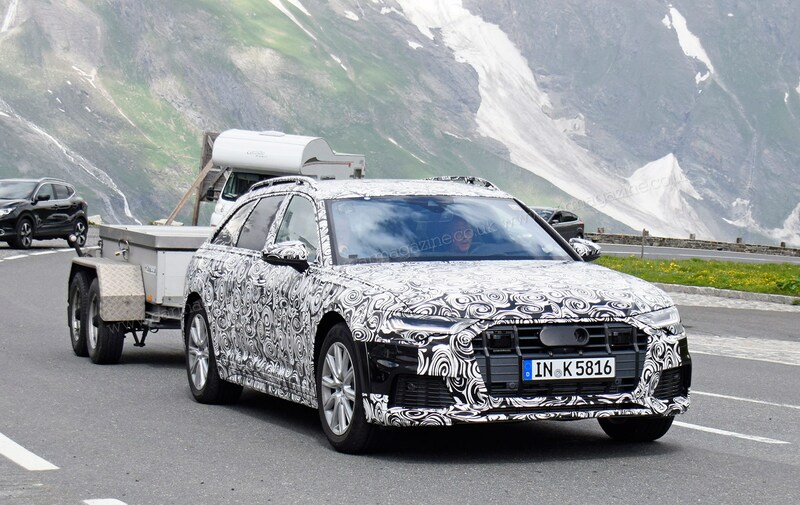 The new Audi A6 Allroad is out and about testing - and these spy photos show the 2019 model out on manoeuvres with its extra body cladding and off-roader accoutrements hidden under a typically swirly camo wrap. 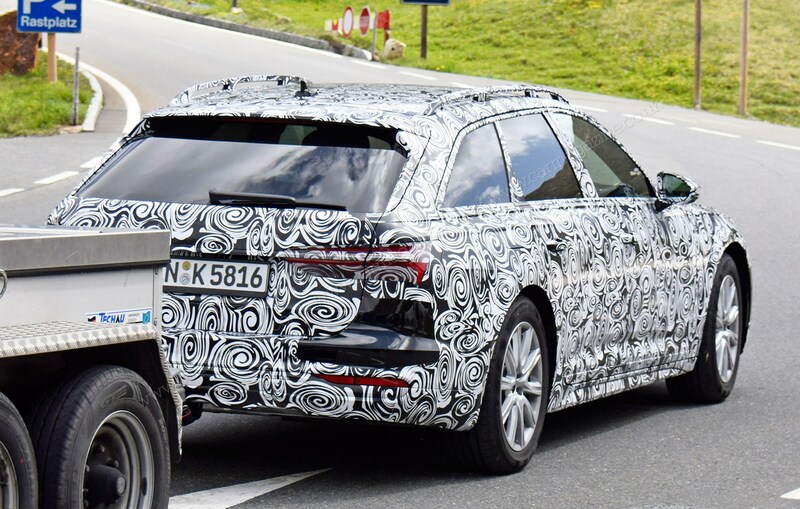 It looks set to follow the example of earlier Allroads: namely taking a standard A6 Avant and adding a smattering of SUV-lite body styling and air suspension for that extra ground clearance to warrant the Allroad name. Scroll down this page to read all about the new Audi A6 Avant, which is due in showrooms in September 2018. 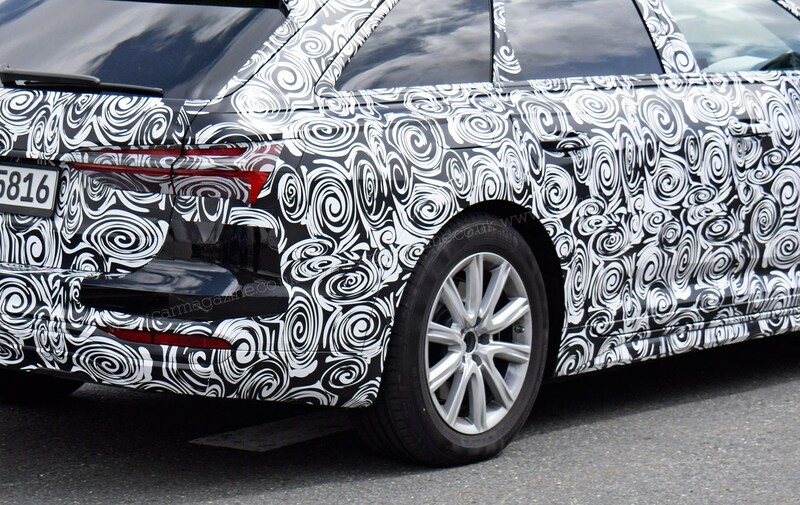 Are you sure this is the new Audi A6 Allroad? Yep. 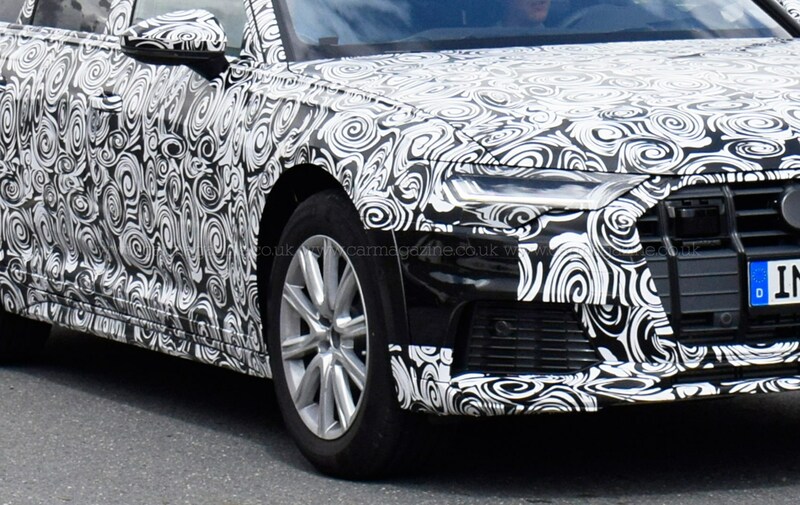 Look closely at this disguised prototype and you'll see the extended wheelarches, sturdier side sills and new bumper styling. Is it riding a little higher? 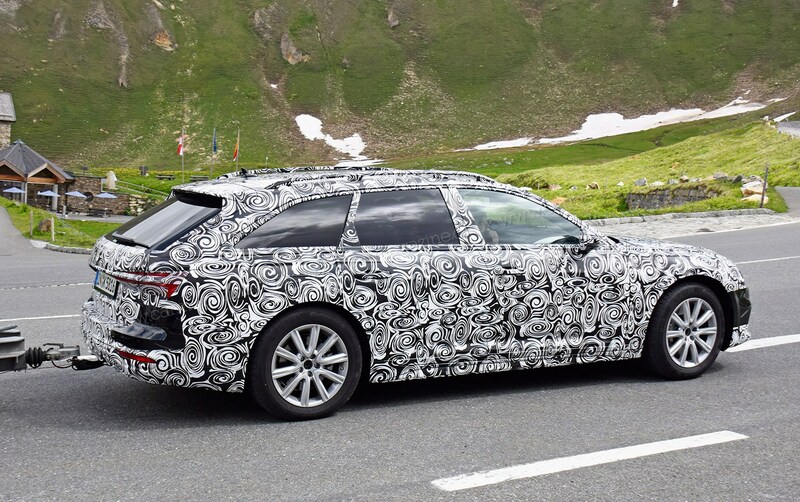 That may be difficult to prove from these spy photos, but adjustable ride height comes as standard on the new Allroad, as does Quattro all-wheel drive. 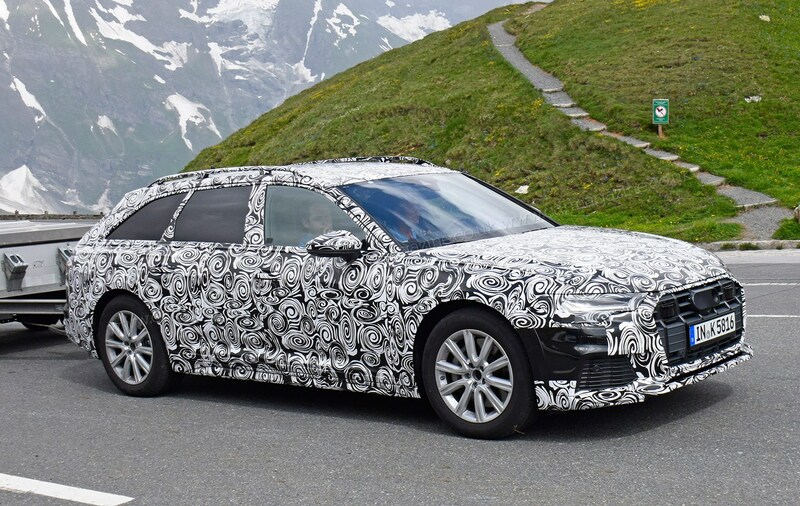 The new Allroad model is due to be shown in the autumn of 2018, possibly at the Paris motor show, before UK sales start in early 2019.